DISMISSED! Vast Majority of Lawsuit Defeated! 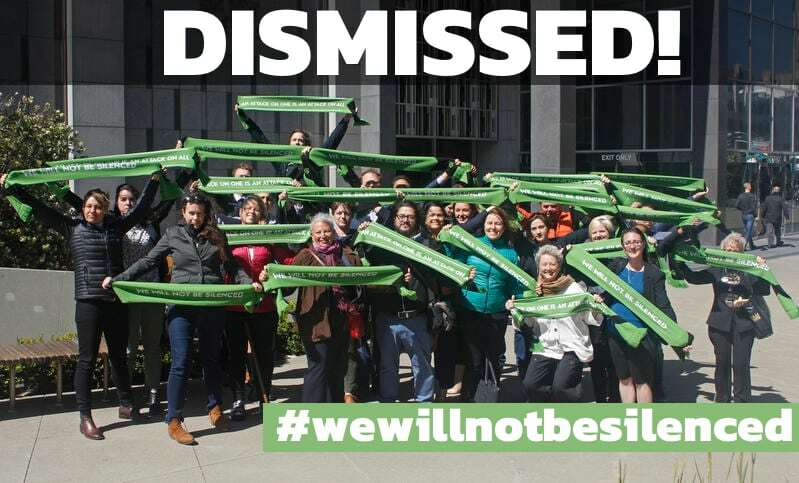 After almost three years of fighting Resolute Forest Products' attacks on free speech and advocacy, a federal judge has just dismissed for good the baseless racketeering claims against Greenpeace International, Greenpeace USA, Stand.Earth, and 5 individuals! Bully lawsuits will never silence anyone. We will vigorously fight the very narrow defamation claims that remain and defend our right to protect the planet and speak truth to power. Greenpeace has worked for years with logging and consumer companies to develop policies that support a healthy boreal forest, a critical region that is home to Indigenous Peoples and other communities, as well as diverse wildlife, including the threatened Woodland Caribou. Resolute Forest Products has been criticized by a variety of environmental groups, including Greenpeace, Stand.earth, NRDC, CPAWS, Ontario Nature, and Canopy for unsustainable logging practices that are harming this forest. Following the exposure of its irresponsible practices, Resolute launched a multimillion legal and public relations attack against its critics. In 2013, Resolute filed a defamation and economic interference case for CAD$7 million against Greenpeace Canada and two of its staff members In May 2016, Resolute filed a CAD$300 million lawsuit for racketeering and other claims in the United States against several Greenpeace entities and Stand.earth including five individual activists. These lawsuits, designed to silence criticism, are textbook examples of SLAPPs: Strategic Lawsuits Against Public Participation. Instead of embracing sustainable forestry, investing in healthy forests, and creating jobs, Resolute is trying to intimidate critics like Greenpeace with lawsuits that threaten free speech. If Resolute succeeds, these cases could set a dangerous precedent for public participation. All of the legal documents and court filings can be found here. Read more about the threat to the Canadian boreal forest and Resolute's record of unsustainable logging. This company is using far-reaching legal tactics to stop watchdogs like Greenpeace from speaking out for forest protection. Defendants in the controversial racketeering case filed by Resolute Forest Products to silence forest defenders and environmental organizations, including Greenpeace, filed a motion to dismiss  the repackaged version of the lawsuit yesterday. Silencing criticism takes many forms. It can be a government cutting off domestic internet access or stopping a satirical news show. It can be as blatant as imprisoning a journalist, or as subtle as being forced out of a career. Yesterday, one of the world's largest publishers, Hachette Livre condemned the excessive legal practices of Resolute Forest Products and called on the logging company to do better for the forest in the strongest possible terms. This pledge follows two multi-million dollar lawsuits filed by Resolute Forest Products, a Canadian company, to silence Greenpeace's criticism of its controversial logging in the boreal forest. Resolute Forest Products has initiated multi-million dollar lawsuits and is seeking to have their environmental critics found to be a criminal enterprise. Find out what’s at stake for the environment and free speech. Fortunately, the fight-back against SLAPPs has begun. A diverse coalition of groups and individuals opposed to SLAPPs – from the Media Alliance to the Taxpayers Protection Alliance, to TripAdvisor and Yelp – have joined forces to press for a federal US anti-SLAPP law. Your right to speak out is being threatened right now in a dizzying variety of ways, not only by oppressive governments around the world, but also by underhanded corporations who want to suppress speech through expensive lawsuits. Over the past two weeks, Resolute Forest Products has been on a mission: to seed the false claim as far and wide as possible that Greenpeace admitted to lying. And while it makes for great headlines, it just isn’t true. Why is Resolute suing Greenpeace and Stand.earth? 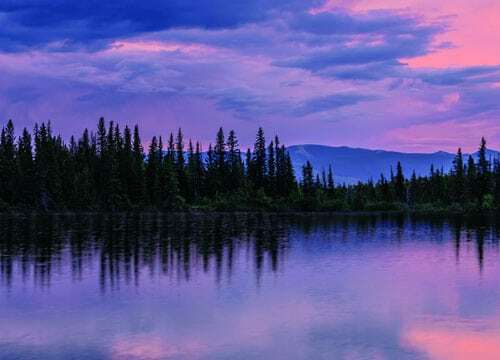 Greenpeace is calling on Resolute to address these issues and undertake science-based conservation, respect First Nations’ rights and support local communities. While our campaigns have led some groups to reform their practices, Resolute has responded by suing its critics – including, in one case, its own auditor. Are Resolute’s accusations against Greenpeace true? The allegations made by Resolute against Greenpeace Canada, US Greenpeace entities, and Greenpeace International are absolutely false and without merit. As SLAPP lawsuits, their intention is not to advance meritorious claims but to censor Greenpeace’s criticism of Resolute’s forest practices. As with other advocacy groups, one of Greenpeace’s roles in civil society is often to act as a watchdog that holds corporations and governments accountable for the social or environmental consequences of their actions. It is this function that Resolute’s lawsuits aim to shut down. These cases are not only about Resolute, therefore, but also about protecting the ability of all advocacy groups to operate in the public interest without fear of legal action. What is a SLAPP suit? Do the Resolute lawsuits fit the criteria for SLAPP suits? A strategic lawsuit against public participation (SLAPP) is a lawsuit filed as a means of shutting down speech and scrutiny on matters of public interest. Such lawsuits have been restricted in many jurisdictions under anti-SLAPP legislation on the grounds that they impede freedom of speech. Despite this they are increasingly, and with alarming frequency, being used by companies as a means of silencing their critics. SLAPP lawsuits tend to be baseless but their purpose is generally not to win on the merits: rather, they intend to “win” by exhausting time and money through the litigation process, intimidating critics (particularly those named individually as defendants), and forcing those critics to abandon their criticism. Against these criteria, the Resolute lawsuits are textbook SLAPP suits: they are excessively long, contain numerous counts, and target individual staff members (as well as the organizations themselves) for exercising their right to speak out on issues of great public concern. Resolute’s lawyers in the United States are certainly well qualified to lead efforts to shut down critical speech. One of their better-known clients is Donald Trump, on behalf of whom they sent a threatening letter to the New York Times in a transparent attempt to silence his sexual abuse accusers. The response by the NYT’s in-house counsel has since gone viral. Why is a company with its headquarters in Canada suing Greenpeace in the US? 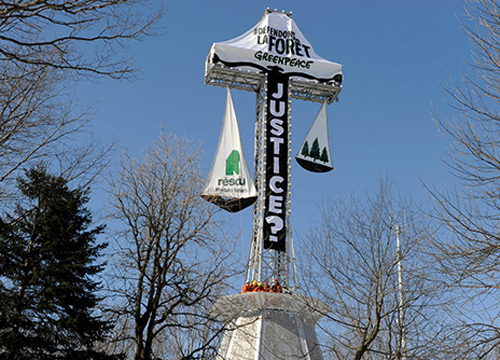 Resolute Forest Products is suing US Greenpeace entities, Greenpeace International and Stand.earth using a racketeering law (namely the Racketeering Influenced and Corrupt Organizations Act, or RICO) available only in the US and intended for criminal enterprises. Through RICO, the company is asking for higher financial penalties (treble damages and attorney fees) and trying to discourage Greenpeace and our allies from campaigning globally on this issue. That a company headquartered in Canada is suing Greenpeace in the US reflects the nature of this lawsuit as a SLAPP (see above): the intention is not so much about winning the lawsuit, but rather to intimidate us and other advocacy groups into silence, and RICO – with its criminal connotations and treble damages - provides a powerful means with which to try to do that. What are others saying about these lawsuits? How has Stand.earth responded to Resolute's lawsuit against them? Stand.earth has vowed that "No amount of intimidation tactics or bullying is going to make us stop telling the truth about Resolute or any other company that destroys forests." Find out more on Stand.earth’s website here and here, and in their blog in the Huffington Post. What is Greenpeace asking for? Greenpeace is asking Resolute, and all companies operating in the Boreal forest, to operate in a way that respects the free, prior and informed consent (FPIC) of First Nations, recognizes Indigenous governance authority, commits to conservation outcomes consistent with the best available science and Indigenous knowledge, recovers the FSC certifications that have been withdrawn or suspended -- including the protection of Intact Forest Landscapes -- and brings an end to Resolute’s lawsuits. We won’t stop working and speaking out to protect forests. That’s why we’re calling on the publishing industry to help. Publishers like Penguin Random House, HarperCollins, Simon & Schuster, and Hachette all fundamentally rely on freedom of speech. But these companies also buy millions of pounds of book paper from Resolute. Ask book publishers to stand up for free speech and forests. Following a series of revelations on its unsustainable forestry activities, Canada’s largest logging company Resolute Forests Products (TSX: RFP) took legal actions in Canada and the United States against several individuals and environmental groups. 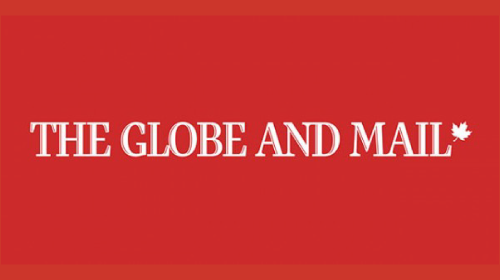 On May 23, 2013 Resolute filed a $7 million (CAD) lawsuit for defamation and economic interference in the Ontario Superior Court against Greenpeace Canada and two of its staff members. This was the first legal effort by Resolute to try to silence the longstanding Greenpeace campaign to protect the Canadian Boreal forest, which includes calling out companies to stop their unsustainable logging practices. In striking out parts of Resolute's defamation pleadings, a panel of appellate judges with the Ontario Superior Court ruled that Resolute had attempted to "greatly expand the scope of the litigation and transform the trial into an inquiry into Greenpeace. On May 31, 2016 Resolute filed a $300 million dollar (CAD) lawsuit under the Racketeer Influenced and Corrupt Organizations Act (RICO) in the United States District Court for Southern Georgia, against Greenpeace International and U.S. Greenpeace entities, as well as Stand.earth (formerly ForestEthics), and five individual staff members of these organizations. RICO was originally conceived of to prosecute the mafia, and, in allowing plaintiffs to recover treble damages, provides a uniquely powerful means to intimidate advocacy groups into silence. Greenpeace considers these lawsuits to be meritless and obvious SLAPP (strategic lawsuit against public participation) tactics intended to silence Greenpeace and other critics of Resolute’s logging practices in the Canadian forest. Over 100 independent non-profit and media organizations have spoken out against Resolute’s RICO lawsuit and the threat it poses to free speech. 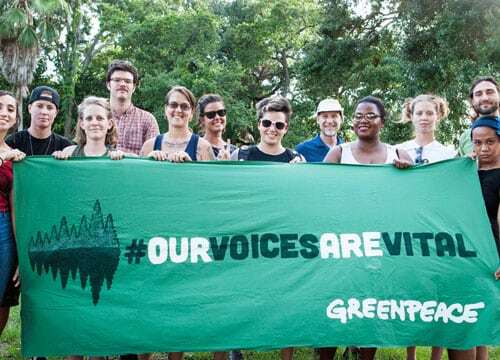 Greenpeace, Stand.earth and other advocacy groups have the right to free speech and serve a vital role in speaking out on matters that are of public interest and concern. That is the bottom line in both of these cases. For decades, Greenpeace Canada has worked in close collaboration with First Nations, governments, corporations and unions in Canada to deliver a sustainable forest products industry, healthy local communities, and science based conservation. Fortunately, the fight-back against SLAPPs has begun. A diverse coalition of groups and individuals opposed to SLAPPs – from the Media Alliance to the Taxpayers Protection Alliance, to TripAdvisor and Yelp – have joined forces to press for a federal US anti-SLAPP law. This Public Participation Project is a great place to start for more information on the SLAPP phenomenon in the US. In Canada, the Canadian Civil Liberties Association and Pro Bono Law Ontario formed their own Public Participation Project to provide resources and support to assist defendants in SLAPP suits and encourage anti-SLAPP legislation. Their website provides information on SLAPPs in Canada, including examples of Canadian SLAPPs and helpful material for those being SLAPPed. For background on both Resolute lawsuits and the Greenpeace campaign that provoked them, see the NRDC’s overview here. Kate Redford of EarthRights International discusses SLAPP lawsuits, including Resolute’s RICO case against Greenpeace and Stand.earth, as part of a broader corporate movement to silence environmentalists in this Huffington Post blog. For background on the Canadian defamation case and more details about its SLAPP nature see this article by the Watershed Sentinel. For more information on the US RICO case see this article by Celia Wexler, the award-winning journalist and nonfiction author. Peter Jacobsen: Leading practitioner in defamation law and Chair of the Canadian Issues Committee, Canadian Journalists for Free Expression. Professor David Ardia: Professor of Law at UNC School of Law and Board Member of the Online Media Association. Evan Mascagni: Policy Director of the Public Participation Project. Right now, Greenpeace is facing a massive lawsuit that Resolute Forest Products has filed to prevent us from speaking out. This strikes at the very core of our identity. Greenpeace was created to champion the very idea of speaking out for the planet and the people that depended on it. At our founding in 1971 when a group of the first Greenpeacers sailed out to Amchitka to stop nuclear testing, they weren’t able to stop it with their action, but the story they told sparked a global movement against nuclear testing. Speech is power. It is the greatest force for change in the world, the tool each one of us has to build the future that we deserve. Today, in the United States, we are governed by a president who plans to decimate the EPA, censor scientists, roll back protections for clean water, air and the climate, and erode necessary human rights for people of different races and religions. And yet the voice of the people has never been stronger. Journalists around the world are documenting the ethical failures of the administration. The social pressure of millions caused Uber to withdraw their support for the administration, and the voices of the millions who have protested at the women’s marches or at airports against the Muslim ban grow louder every day. Social media is a megaphone for the people, and stories from regular people ricochet around the globe overnight because of the inherent power of the words they use, not the money that they put behind it. People are speaking out, writing, sharing, organizing and protesting and they are not going to stop. But right now Greenpeace’s ability to speak out is being threatened by multiple lawsuits filed by Resolute Forest Products – a $7 million dollar lawsuit filed in Canada against Greenpeace Canada and a $300 million dollar (CAD) lawsuit filed in the US (against GPUS and GPI). Who is Resolute and why are they trying to silence us? Resolute is a company that logs in the Boreal forest in Canada, and the forests they cut down become a variety of products from tissue and wood pulp to the very paper our books, newspapers and magazines are printed on. Resolute is suing Greenpeace because of a series of investigations through which we have exposed unsustainable practices; the Boreal forest needs healthy, intact habitats so that wildlife like woodland caribou can thrive. The forest is also the home to Indigenous peoples that depend on its resources, and in fact, have the right to decide how the land should be used. Instead of facing up to the criticism from Greenpeace, Stand.earth and others, Resolute is telling us — and you — to stop talking about it. Lawsuits like the ones they have filed are called Strategic Lawsuits Against Public Participation, or SLAPP suits, and they are a dangerous tool in the corporate toolbox to stop people from speaking out. In fact, they are usually effective. They are designed to intimidate, and to ensure that corporations who can spend a lot of money in court can make speaking out too difficult for individuals, scientists and non-profits. And another troubling aspect about the US lawsuit is that the $300 million claim is being made under RICO laws — designed to go after organized crime like the mafia. Their central argument is that an organization like Greenpeace that criticizes the practices of non-sustainable business is a criminal enterprise. That concept is so ridiculous that we don’t expect Resolute to win on the merits, but it doesn’t make it any less of a threat. The worst part about SLAPP suits is that they can be meritless and still have an outsized time and financial impact, as well an intimidating impact on organizations and individuals. Greenpeace has been handling bullies for a long time, so we’re not about to stop talking about the Boreal forest and why it needs to be protected. And we won’t stop telling Resolute why they have to change their practices to keep up with scientific opinion. But this is bigger than just us. Imagine a world without Greenpeace, where lawsuits like this win, or where organizations stop speaking out because it’s too risky and too expensive. Now imagine a world where we don’t have the ACLU standing up for immigrants, Amnesty International standing up for global human rights, or Color of Change standing up to corporations working against racial justice. Imagine the Human Rights Campaign can’t afford to fight to preserve marriage equality. Imagine there is no more advocacy at all, that the groups that stand up for veterans, children, the disabled, the sick, the poor have been put out of business by the increasing cost of speaking out. Even more vulnerable are grassroots activists working in their communities without the support of an organization — frequent targets of these lawsuits. Now imagine the newspapers get shut down because they can’t keep up with defamation suits from people like Trump, and the legal costs and consequences have gotten so high that we can’t afford to speak our minds anymore. It may sound dramatic, but if a precedent is set that RICO laws can be used in this way, the door will be open for more scenarios like this. It happens quietly at first, and then when we see how powerful the corporations have become, it’s too late. Already, we’ve seen two copycat lawsuits where others are starting to use these RICO charges in the same way: one filed against several environmental groups including Greenpeace in Texas by a climate denier, and another in New York against media companies, targeting advocacy about climate change and news stories about the election. We have to put our foot down before it gets worse. Resolute is trying to cover up what they’re doing to the Boreal forest. But I know you won’t let it. Please spread this story. Speak out alongside us. Let Resolute know we won’t be silenced. Molly Dorozenski is the Communications Director at Greenpeace US, where she has worked for eight years in creative and strategic communications. She has planned and executed comprehensive communications campaigns including campaigns on climate, the Arctic, the Gulf Oil Spill, as well as a variety of corporate campaigns that helped move companies towards more sustainable practices. In 2015 she received an Effie Award for work with the VIA Agency that pushed tech companies to commit to using more renewable energy. What Greenpeace has done is criticised Resolute Forest Products unsustainable forestry practices – claims we have consistently stood by as accurate and based on scientific fact. This is the core argument Greenpeace Canada, and Greenpeace U.S. and Greenpeace International made in separate court filings related to the two lawsuits Resolute filed against us. But Resolute is not waiting to let judges decide the matter in a court of law. Instead, they are misusing the court proceedings as fuel in an all-out PR war against their critics. Taking legal phrases relevant to U.S. free speech law out of context simply distorts their true meaning. 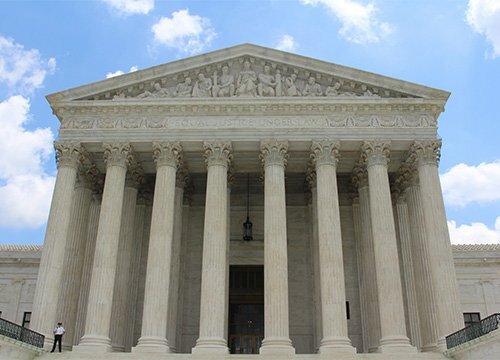 “Hyperbole” and “rhetoric” are routine legal arguments made in many U.S. First Amendment cases. They are not, in any way, admissions of lying. Protecting the ecologically important and unique boreal forest has been a crucial part of Greenpeace’s work. In this role, we hold accountable industries and governments that are harming the environment, pressuring them to change their ways. We want Resolute to adopt solutions that strengthen communities, secure jobs, respect First Nations rights and protect environmental values. Instead Resolute is wasting time and money attacking their critics - in the courts and in the press. Wouldn’t all this effort be better placed in finding real, long-term solutions? Resolute has sued Greenpeace Canada, Greenpeace U.S., Greenpeace International and several Greenpeace staff as well as its own independent auditor Rainforest Alliance when it didn’t award the company’s practices a passing grade. They have also publicly lashed out against the Canadian Parks and Wilderness Society, Natural Resources Defense Council, World Wildlife Fund for Nature, and the Forest Stewardship Council. It would appear that they see no place in civil society for criticism of their practices. Greenpeace will continue to defend against Resolute’s meritless claims because too much is at stake - not only the future of Canada’s forests, but the future of free speech in this country. Silencing criticism takes many forms. It can be a government cutting off domestic internet access or stopping a satirical news show. It can be as blatant as imprisoning a journalist, or as subtle as being forced out of a career. It can play out in orders from a podium, or in the dust of a firing range. Or, as is more and more often the case, it can play out in court. It’s no easy thing to shut down critics in a democracy. If someone doesn’t like what you have to say about them, they’ll find it difficult to get away with hiring goons to break down your doors to intimidate you. No, an increasingly used way to shut someone up – an advocacy group, or a lone dissenter – is to take them to court and sue them into a state of paralysis. In many ways, hiring goons is a lot easier and lot less complicated, because bringing to bear the massive financial and legal resources necessary to silence a critic is costly, complex and time-consuming. And this is exactly the idea behind SLAPP suits (Strategic Lawsuits Against Public Participation); they tie up the defendant as much as the plaintiff so that the defendant is no longer able to perform their civic duty as a watchdog. With the ever-growing power of industry over advocacy groups, SLAPP suits effectively tip the balance firmly in favour of those companies who are willing to smother human rights and harm the environment to make a profit. Silencing criticism has far-reaching impacts beyond the courtroom where a case is being heard. SLAPPs are becoming a popular scheme for anyone, anywhere who wants to throttle free speech. Anyone, that is, who has the time, money and resources. Right now, Resolute Forests Products is pursuing just this kind of suit. For speaking out against its destruction of our pristine forests, the giant logging company (using Donald Trump’s legal team) is attempting to sue Greenpeace into silence using an anti-mafia law called “RICO” (Racketeer Influenced and Corrupt Organisations). Under RICO, Resolute is attempting to label every day advocacy, like protest and raising awareness to environmental threats, as “criminal”. Resolute’s claims ride on ridiculous and baseless accusations, but that’s not the point, because it is not a case that Resolute is necessarily trying to win. Victory in a SLAPP comes far before the final verdict – success is in the execution of the SLAPP itself. Has your critic been rendered immobile within the expensive, resource-draining rigmarole of the legal proceedings? Yes? Then you’ve done your job. But, this is not just about Greenpeace, because no SLAPP suit happens in isolation. This is about any protestor, advocacy group or public watchdog anywhere. This is about the tribal elders of Standing Rock, a few courageous people in Alabama or a journalist reporting on Donald Trump and their right to free speech for the public good. This kind of throttling of free speech is not only contained within national borders. This is about using US courts to hamstring the rights of international civic institutions. This is also about one corporation taking its cues from the tricks used by others in court. Bullying tactics – like exhausting activists’ resources, targeting individual campaigners (as well as the organisation itself) and using the cloak of legal privilege to hammer a defendant with a barrage of contrived defamatory allegations – get used or refined for attacking free speech in another courtroom. A tactic is developed in one place and the blow lands somewhere else entirely. Allowing SLAPPs to evolve creates a growing and malignant cancer which eats away at public interest advocacy and keeps civil society organizations and journalists from doing their job. Imagine a world where corporations and industries everywhere were able to operate unchecked – clear-cutting our forests while at the same time bulldozing free speech. Silencing criticism can take many forms, and SLAPPs are something we can resist together by declaring it to the world when it happens. When we expose this kind of litigation we are taking a stand for all our rights everywhere. Together we must send a strong, unequivocal message that drowning your critics in bogus legal proceedings is not just cowardice, it does not work. Arnaud Nourry, the CEO of Hachette Livre, released a fiery letter to the CEO of Resolute Forest Products, Richard Garneau, in response to a Greenpeace campaign to protect free speech and forests. Resolute has sued Greenpeace International, Greenpeace USA, and Greenpeace Canada in two multi-million dollar lawsuits, in an attempt to silence and destroy the more than 45 year old organization. Greenpeace has called on the largest global publishers, who source paper from Resolute, to join us as allies and live up to their sustainability promises by demanding the logging company both protect the boreal forest and drop these lawsuits. Hachette Livre was the first publisher to show its leadership on this issue. The letter referenced the importance of operating in line with the Forest Stewardship Council's sustainability standards, and called Resolute's legal tactics "excessive." 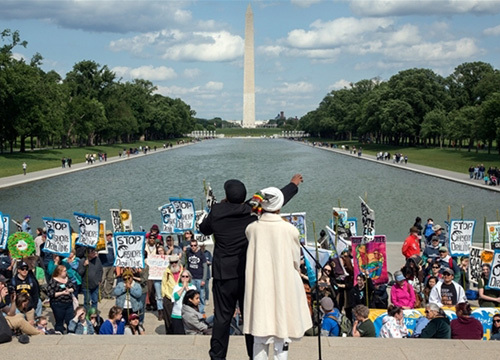 Nourry writes, "At a time when the United States has decided to turn its back on climate change by reneging on its commitment to the Paris Accord, we believe we need more than ever independent NGOs such as Greenpeace. Without them, who will speak up for the environment in the future?" "We applaud Hachette Livre for taking the first step to stand up for the forest and freedom of speech and for Arnaud Nourry's leadership in understanding the high stakes of the threat to Greenpeace and civil society more broadly," said Clement Senechal forest campaigner for Greenpeace France. He continues, "we also call on Hachette Livre to continue to hold Resolute responsible for acting in accordance with the values mentioned in this letter: protection of the environment, the importance of free speech and the value of working with independent NGOs and evaluators. We also call on Hachette Livre to see that while retaining FSC certifications is a must, other controversial logging practices including destroying intact forests and harming threatened species habitat must also be resolved." Amy Moas, Ph.D. from Greenpeace USA, added that, "publishers have the unique ability to make a difference on this massive legal attack on environmental advocacy work as major buyers of Resolute's paper and stakeholders in the global conversation about free speech. Like many publishers, Hachette Livre has a strong sustainability policy that Resolute does not meet, and we look forward to seeing how Resolute resolves this issue." Other major publishers, including Penguin Random House, HarperCollins, MacMillan, and Simon & Schuster need to move more quickly on this issue to regain the confidence of the half a million people around the world who have asked publishers to live up the their promises and ensure forests and free speech are not attacked on their watch. More than 100 authors from around the world, including Nobel Prize winner John Maxwell Coetzee (Disgrace); writer and comedian Stephen Fry (More Fool Me); Man Booker Prize winners Margaret Atwood (The Handmaid's Tale) and Yann Martel (Life of Pi); and thought leaders Michelle Alexander (The New Jim Crow), Rebecca Solnit (Men Explain Things to Me) and Naomi Klein (The Shock Doctrine) signed a pledge  with Greenpeace to support free speech and stand up for forests. This pledge follows two multi-million dollar lawsuits filed by Resolute Forest Products, a Canadian company, to silence Greenpeace's criticism of its controversial logging in the boreal forest. The lawsuits could set a dangerous precedent for free speech if they succeed in silencing public comment on corporate behavior. "The endings of The Handmaid's Tale, 1984 and Brave New World are written. Ours is not. This is a chance to stand up for freedom of speech, the freedom to advocate for change, and the freedom to question authority, and to strengthen their protection under law. As a society, we need a positive outcome to this story," said Margaret Atwood, author of The Handmaid's Tale, which recently became Hulu's record breaking television series and depicts a dystopian future where all but the most powerful women are forbidden to write and are denied access to books. Authors signing the pledge committed to defend "freedom of speech as a pillar of democratic and peaceful societies, the right of individuals to organize and protest without intimidation, [and] those who peacefully protect the world's forests." "Speaking as a serial blasphemer, I take freedom of speech very seriously," said author and actor Stephen Fry, "It's not just about the satisfaction you get from speaking your mind, it's also about telling uncomfortable truths that need to be heard, and Greenpeace has been incredibly successful at exposing what the powers that be want to keep secret. But this case goes beyond Greenpeace to threaten every whistle-blower and watchdog with information that the rich and powerful want suppressed. I'm worried, and I think you should be too." On May 16th, Greenpeace published a report  that showed major international publishers are purchasing paper from Resolute. Greenpeace is inviting these global publishers to join this call to protect freedom of speech and work with Resolute to become more sustainable. Other notable authors who signed the pledge include Man Booker Prize winners Julian Barnes (The Sense of an Ending) and Ian McEwan (Atonement), Pulitzer Prize winner Anthony Doerr (All The Light We Cannot See) MacArthur Award winner Deborah Eisenberg (Twilight of the Superheroes), Lev Grossman (The Magicians), Lauren Groff (Fates and Furies), William Shatner (Up Till Now), Alec Baldwin (Nevertheless), Jane Fonda (My Life So Far) and many more. "Publishers and authors are natural allies in our fight to protect free speech. Our campaign celebrates the power of words and the incredible work that authors and publishers do every day to ensure critical thinking and the spread of ideas in our society. Now, we're asking publishers to disavow this heavy-handed attempt by a paper company to silence dissent," said Greenpeace USA Senior Forest Campaigner Amy Moas. Adopt Free, Prior and Informed Consent as the basis for engaging with Indigenous Peoples to ensure forest planning is driven by Indigenous knowledge and governance. Suspend logging in and sourcing from High Conservation Value Forests including Intact Forest Landscapes and Woodland Caribou habitat until science-based conservation planning takes place. Publicly support large-scale, protected areas based on this science and Indigenous knowledge. Recommit to the FSC system and regain lost certificates. Work with environmental organizations, unions and communities to address legitimate economic concerns and ensure jobs are sustained. Produits forestiers Résolu, une importante compagnie forestière, tente de réduire Greenpeace au silence pour de bon. Depuis plusieurs années, Greenpeace collabore avec des compagnies forestière et des fabricants de produits forestiers afin de mettre en place des solutions qui favorisent à long terme la santé de la forêt boréale, une forêt importante où vivent des communautés forestières et des Premières Nations. Elle abrite aussi une faune diversifiée, comprenant des espèces menacées comme le caribou forestier (ou caribou des bois). Produits forestiers Résolu a été critiquée par plusieurs groupes environnementaux, notamment par Greenpeace, Stand.earth, le NRDC, la SNAP, Ontario Nature et Canopy, pour ses pratiques d’exploitation non durables et dommageables pour cette forêt. Lorsque les pratiques irresponsables de Résolu ont été dévoilées, la compagnie forestière a lancé une poursuite juridique et une campagne de relations publiques de plusieurs millions de dollars contre ses détracteurs. En 2013, Résolu a intenté un recours de 7 millions de dollars (CAD) pour diffamation et entrave aux activités économiques contre Greenpeace Canada et deux de ses employés. En mai 2016, Résolu a intenté une poursuite de 300 millions de dollars (CAD) pour racket et autres demandes aux États-Unis contre différentes entités de Greenpeace, Stand.earth et cinq militants de ces organisations. Ces poursuites, qui visent à faire taire la critique, sont des exemples typiques de poursuites stratégiques contre la mobilisation publique (aussi appelées poursuites-bâillon). Au lieu d’adopter des pratiques forestières durables, d’assurer la santé des forêts et des emplois à long terme, Résolu essaie d’intimider et de faire taire Greenpeace en poursuivant l’organisation en justice, menaçant ainsi le droit de parole des voix dissidentes. Si Résolu avait gain de cause, cela pourrait créer un dangereux précédent pour la liberté d’expression et la participation du public aux enjeux de société. Tous les documents légaux et procédures sont disponibles ici. Apprenez-en plus sur la menace qui pèse sur la forêt boréale canadienne et sur les pratiques forestières non durables de Résolu. Cette compagnie forestière utilise des tactiques juridiques lourdes de conséquences pour empêcher des défenseurs comme Greenpeace de militer pour la protection des forêts. Une étape déterminante vient d’être franchie dans l’affaire qui nous oppose à la plus grande entreprise forestière du Canada, Produits forestiers Résolu. 90 organisations du Canada et des États-Unis appellent Produits forestiers Résolu à abandonner ses poursuites de plusieurs millions de dollars visant à museler Greenpeace et Stand.earth. À chaque mot d’espoir et de liberté couché sur le papier ou tapé sur un écran, auteurs, journalistes, poètes et dramaturges savent que que le monde s’améliore un peu. L’entreprise Produits forestiers Résolu a intenté un procès de plusieurs millions de dollars et cherche à faire en sorte que ces critiques environnementales soient considérées comme une entreprise criminelle. Découvrez ce qui est en jeu pour l’environnement et la liberté d’expression. Heureusement, la lutte contre les poursuites-bâillon a bien commencé. Une coalition de divers groupes et individus opposés à ces poursuites, allant de la Media Alliance jusqu’à la Taxpayers Protection Alliance, en passant par TripAdvisor et Yelp, ont uni leurs forces pour exiger une loi fédérale contre les poursuites-bâillon. Il existe toute une variété de tactiques pour limiter le droit des individus à s’exprimer. Celles-ci sont utilisées non seulement par les gouvernements oppressifs à travers le monde, mais aussi par des compagnies peu scrupuleuses qui tentent de faire taire les critiques au moyen de coûteuses poursuites judiciaires. Dans les dernières semaines, Produits forestiers Résolu semble s’être donné une mission : semer l’idée que Greenpeace aurait admis avoir menti. Et bien que cela porte à des titres accrocheurs, ce n’est tout simplement pas la vérité. Obtenez plus d’information sur les attaques de Résolu contre la liberté d’expression et les défenseurs de la forêt. Cette situation pourrait avoir des répercussions au-delà de Greenpeace. Pourquoi Résolu poursuit-elle Greenpeace et Stand.earth? la compagnie a utilisé la mention « eco-conscious » pour son papier, alors qu’il ne contient aucune matière recyclée. Greenpeace demande à Résolu de corriger le tir et d’adopter des mesures de conservation fondées sur des données scientifiques, de respecter les droits des Premières Nations et d’appuyer les collectivités locales. Alors que nos campagnes ont mené certaines entreprises à réformer leurs pratiques, la réponse de Résolu a été de poursuivre ses critiques, et dans un cas, son propre vérificateur. Les accusations portées contre Greenpeace sont-elles fondées? Les allégations de Résolu contre Greenpeace Canada, Greenpeace USA et Greenpeace International ne sont aucunement fondées. Leurs poursuites-bâillon ne sont pas menées dans l’intention de faire avancer des réclamations fondées, mais plutôt de censurer les critiques de Greenpeace relatives aux pratiques forestières de Résolu. Comme pour d’autres groupes de défense, un des rôles de Greenpeace au sein de la société civile, est de jouer un rôle de surveillance et tient les sociétés et les gouvernements responsables des conséquences de leurs actes sur le plan social et environnemental. C’est précisément cette fonction que Résolu désire étouffer au moyen de ses poursuites. Ceci constitue un dangereux précédent et menace aussi le droit fondamental à la liberté d’expression. Il ne s’agit donc pas seulement d'arrêter les poursuites entamées par Résolu, mais aussi de protéger la capacité des groupes de défense d’oeuvrer pour l’intérêt public sans crainte de poursuites judiciaires. Qu’est-ce qu’une poursuite-bâillon? Les poursuites de Résolu correspondent-elles à la définition d’une poursuite-bâillon? Une poursuite-bâillon (ou poursuite stratégique contre la mobilisation publique) est une poursuite déposée pour empêcher la liberté d’expression et l’examen minutieux des enjeux d’intérêt public.. Ce type de poursuite a été interdit par de nombreux gouvernements en se dotant de lois contre les poursuites-bâillon, car elles entravent la liberté d’expression. Malgré ces efforts, les poursuites-bâillons sont de plus en plus utilisées par les entreprises, et ce à une fréquence alarmante, comme moyen de faire taire leurs critiques. Les poursuites-bâillons (SLAPP) s’avèrent souvent sans fondement, mais leur but n’est pas généralement de l’emporter sur le fond. L’intention est plutôt de « gagner » en épuisant le temps et les ressources financières des accusés dans le processus du litige, en intimidant les opposants (en particulier les individus nommés personnellement comme accusés), et en forçant ceux-ci à abandonner leurs revendications. Au regard de ces critères, les poursuites intentées par Résolu correspondent à des exemples typiques de poursuites-bâillons : elles sont excessivement longues, contiennent de nombreux chefs d’accusation, et visent des membres du personnel individuellement (ainsi que les organismes eux-mêmes) qui ont exercé leur droit de liberté d’expression sur des enjeux de grand intérêt public. Les avocats de Résolu aux États-Unis sont certainement bien qualifiés pour diriger leurs efforts en muselant les critiques. Un de leurs clients les plus connus est Donald Trump, au nom duquel ils ont envoyé une lettre de menace au New York Times dans une tentative sans équivoque de faire taire ses accusateurs sur des questions d’agressions sexuelles. La réponse des juristes internes du New York Times est devenue virale sur Internet. Pourquoi une entreprise dont le siège social se trouve au Canada poursuit-elle Greenpeace aux États-Unis? Produits forestiers Résolu poursuit Greenpeace International, les organisations de Greenpeace aux États-Unis, et Stand.earth en vertu d’une loi sur le racket (soit la Loi sur le racket et la corruption dans les opérations sur valeurs mobilières, ou RICO) valable seulement aux États-Unis et qui a été créée pour lutter contre les activités criminelles. À l’origine, la loi RICO a été conçue pour poursuivre la Mafia et elle permet au plaignant de récupérer le triple des dommages et intérêts évalués. En conséquence, elle constitue un moyen unique et efficace d’intimider les associations comme Greenpeace et de les réduire au silence. Dans le cas présent, Résolu demande 300 millions de dollars canadiens de dommages et pourrait parvenir à criminaliser le travail des organisations comme la nôtre en cas de victoire. Le fait qu’une entreprise ayant son siège social au Canada poursuive Greenpeace aux États-Unis montre qu’il s’agit réellement d’une poursuite-bâillon (voir ci-haut) : l’intention n’est pas autant de gagner en cour que de nous intimider et nous museler, comme pour d’autres groupes de défense; et RICO, avec ses connotations criminelles et ses triples dédommagements, offre des moyens puissants pour y parvenir. Que disent les autres à propos de ces poursuites? En novembre, 80 organismes ont signé une publicité dans le New York Times, dont Friends of the Earth, 350.org, et la Fondation David Suzuki, condamnant la poursuite-bâillon de Résolu. « Tenter de persuader les cours américaines d’étiqueter les groupes de défense environnementale comme entreprises criminelles crée un dangereux précédent. Cette tentative sape non seulement les efforts pour protéger la forêt boréale, mais menace également le droit fondamental de la liberté d’expression garanti par le Premier amendement". Dans un récent jugement rendu dans la poursuite canadienne, les juges de la Cour supérieure de l’Ontario ont statué que : « Résolu allègue... que Greenpeace emploie une stratégie pour dénaturer les faits en tombant dans le sensationnalisme afin de plaire à sa base de donateurs. Il n’y a pas un seul exemple de ce type d’agissement de la part du défendant Greenpeace. Comme allégation de mauvais comportement antérieur, il s’agit d’un plaidoyer dont la preuve est réputée inadmissible. Comme allégation de malveillance, elle est si dépourvue de particularités qu’il en est scandaleux et vexant ». Comment Stand.earth a-t-elle répondu à la poursuite de Résolu intentée contre elle? Stand.earth a promis « qu’aucune tentative d’intimidation ne nous empêchera de rapporter la vérité sur Résolu ou quelconque autre entreprise qui détruit la forêt ». Renseignez-vous davantage sur le site de Stand.earth ici et ici, ainsi que sur son blogue dans le Huffington Post. Quelle est la demande de Greenpeace? Greenpeace demande à Résolu, ainsi qu’à tous les exploitants de la forêt boréale, d’exercer leurs activités avec le consentement préalable des Premières Nations, donné librement et en connaissance de cause, de reconnaître la compétence du gouvernement autochtone, de s’engager à livrer des résultats conformes aux meilleures données scientifiques et aux meilleures connaissances autochtones disponibles en matière de conservation, de récupérer les certifications FSC qui ont été retirées ou suspendues (incluant celles visant la protection des paysages forestiers intacts), et de mettre fin à ses poursuites-bâillon. Les forêts doivent être protégées, et Greenpeace ne se taira pas. Aujourd’hui, nous demandons à de grandes maisons d’édition de nous aider. La liberté d’expression est une valeur centrale pour les éditeurs comme Penguin Random House, HarperCollins, Simon & Schuster ou encore Hachette. Pourtant ceux-ci se fournissent en papier auprès de Résolu… Avec nous, encouragez les maisons d’édition à défendre pleinement la liberté d’expression, à respecter les promesses qu’elles ont faites en matière de respect de l’environnement et à envoyer un message fort et déterminé à Résolu. À la suite d’une série de révélations concernant ses activités forestières non durables, Produits forestiers Résolu (RFP à la Bourse de Toronto), la plus grande compagnie forestière au Canada, a entrepris des poursuites judiciaires contre plusieurs individus et des groupes environnementaux au Canada et aux États-Unis. Le 23 mai 2013, Résolu a déposé une poursuite de 7 millions de dollars canadiens à la Cour supérieure de justice de l’Ontario contre Greenpeace Canada et deux de ses employés pour diffamation et entrave aux relations économiques. 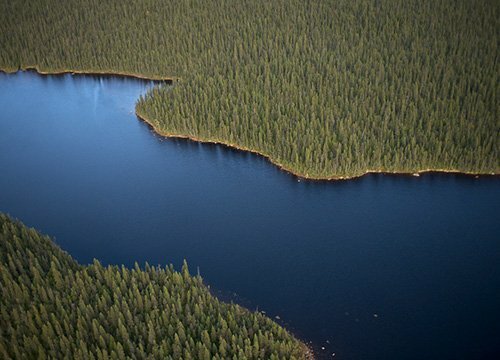 Il s’agissait de la première tentative de la société forestière pour faire taire Greenpeace, qui fait campagne depuis longtemps pour protéger la forêt boréale canadienne en enjoignant entre autres les entreprises de mettre fin à leurs méthodes d’exploitation forestière non durables. En supprimant certaines parties de la plaidoirie en diffamation de Résolu, un groupe de juges d’appel de la Cour supérieure de l’Ontario a statué que Résolu avait tenté « d’élargir considérablement la portée de la poursuite afin de transformer le procès en une enquête sur Greenpeace ». Le 31 mai 2016, Résolu a déposé une poursuite de 300 millions de dollars canadiens en vertu de la Loi sur le racket et la corruption dans les opérations sur valeurs mobilières (RICO) à la District Court for Southern Georgia (cour de district de la Géorgie du Sud) aux États-Unis contre Greenpeace International et Greenpeace USA, contre Stand.earth (auparavant ForestEthics) et cinq employés de ces organisations. À l’origine, RICO avait été conçu pour poursuivre la mafia, et, en permettant aux plaignants d’obtenir un triple dédommagement, constituait un moyen particulièrement puissant pour intimider et museler les groupes de défense. Les revendications de Résolu dans cette deuxième poursuite comprennent la diffamation et les violations alléguées des lois anti- racket des États-Unis, et accusent Greenpeace de « fraude internationale » dont l’objectif premier est de « solliciter de l’argent plutôt que de sauver l’environnement ». Greenpeace estime que ces poursuites sont sans fondement et qu’il s’agit manifestement de tactiques de poursuites-bâillons (ou poursuites stratégiques contre la mobilisation publique) qui visent à faire taire Greenpeace et d’autres organisations qui critiquent les méthodes d’exploitation forestière de Résolu au Canada. Plus de 100 organismes à but non lucratif et médias indépendants ont dénoncé la poursuite RICO de Résolu ainsi que la menace qu’elle pose à la liberté d’expression. Greenpeace, Stand.earth et d’autres groupes de défense de l’environnement ont le droit à la liberté d’expression et jouent un rôle crucial dans la prise de parole sur des enjeux d’intérêt public.. Voilà le fond du problème dans ces deux affaires judiciaires. Depuis des décennies, Greenpeace Canada collabore étroitement avec les Premières Nations, les gouvernements, les sociétés et les syndicats du Canada pour que nous ayons une industrie forestière durable, des collectivités locales en bonne santé et des mesures de conservation fondées sur des données scientifiques. On ne nous fera pas taire. Heureusement, la lutte contre les poursuites-bâillon a bien commencé. Une coalition de divers groupes et individus opposés à ces poursuites, allant de la Media Alliance jusqu’à la Taxpayers Protection Alliance, en passant par TripAdvisor et Yelp, ont uni leurs forces pour exiger une loi fédérale contre les poursuites-bâillon. Le Public Participation Project est un excellent point de départ pour en savoir davantage sur ce phénomène aux États-Unis. Au Canada, l’Association canadienne des libertés civiles et Pro Bono Law Ontario ont formé leur propre version du Public Participation Project afin de faire adopter une législation anti-SLAPP, et de venir en aide aux défendeurs visés par des poursuites-bâillons en leur fournissant des ressources et du soutien. Leur site web fournit des informations sur les poursuites-bâillons au Canada, y compris des exemples de ces poursuites au pays, et de la documentation utile pour ceux déjà mêlés à une telle action. Pour de l’information contextuelle sur la campagne de Greenpeace et les poursuites-bâillons de Résolu que celle-ci a provoquées, voir le bilan récapitulatif de la NRDC. Dans ce blogue du Huffington Post, Kate Redford de EarthRights International discute de poursuites-bâillons, y compris le cas RICO de Résolu contre Greenpeace comme faisant partie d’un vaste mouvement d’entreprises pour museler les écologistes. Le Reporters Committee for Freedom of the Press (RCFP) fournit de plus amples renseignements sur la nécessité d’un statut fédéral anti-SLAPP, sur leur site web. Pour de l’information contextuelle sur le procès de diffamation au Canada ainsi que sur les aspects qui en font une poursuite-bâillon, voir l’article dans le Watershed Sentinel. Pour plus de renseignements sur le procès RICO aux États-Unis, voir l’article par Celia Wexler, journaliste primée et auteure d’ouvrages documentaires/de documentation. Peter Jacobsen : chef de file dans le domaine du droit sur la diffamation et président du Canadian Issues Committee de l’organisme Journalistes canadiens pour la liberté d’expression. Cara Faith Zwibel : directrice du Programme libertés fondamentales de l’Association canadienne des libertés civiles (actuellement en congé de maternité, voir Rob DeLuca). Professeur David Ardia : professeur de droit à l’UNC School of Law et membre du conseil du Online Media Association. Evan Mascagni : directeur des politiques du Public Participation Project. Greenpeace fait en ce moment face à une poursuite très importante intentée par Produits forestiers Résolu pour tenter de faire taire l’organisation. Cette poursuite frappe au coeur même de notre identité. Greenpeace a été fondée autour de l’idée de donner une voix à notre planète et à ses habitants. Le mouvement s’est créé en 1971 quand un groupe de militants s’est rendu jusqu’à Amchitka pour s’opposer aux essais nucléaires. Le groupe n’a pas été capable d’y mettre fin par son action, mais le témoignage que ces premiers activistes ont partagé a lancé un mouvement mondial contre les essais nucléaires. La parole, c’est le pouvoir. C’est le plus grand vecteur de changement, un outil à la portée de tous pour construire le futur que nous voulons. Aujourd’hui, aux États-Unis, nous sommes gouvernés par un président qui planifie de réduire drastiquement le budget et le personnel de l’Agence de protection environnementale (EPA), censurer les scientifiques, renier les engagements envers la protection de l’eau, de l’air et du climat, et compromettre les droits des personnes au prétexte de leur origine et de leur religion. Et la voix des citoyens n’a jamais été si forte. Les journalistes partout dans le monde documentent jour après jour la faillite éthique de cette administration. La pression sociale de millions de personnes a poussé Uber à lui retirer son soutien, et les voix s’étant élevées lors des marches des femmes ou en soutien à la communauté musulmane après le Muslim ban se font de plus en plus fortes chaque jour. Aujourd’hui, les médias sociaux font office de mégaphone et permettent aux individus de partager leurs histoires. Si celles-ci font le tour du monde, c’est en raison du pouvoir des mots que ces gens utilisent, non pas grâce à l’argent. Les gens s’expriment, écrivent, partagent, s’organisent et manifestent, et ils ne sont pas prêts de s’arrêter. Mais actuellement, la liberté de Greenpeace de s’exprimer pour l’environnement est menacée par de multiples poursuites intentées par Résolu – une poursuite de 7 millions de dollars intentée en Ontario contre Greenpeace Canada, et une poursuite de 300 millions de dollars (CAD) dans l’état de Géorgie (États-Unis) contre Greenpeace U.S. et Greenpeace International. Résolu est une compagnie qui opère dans la forêt boréale canadienne, et les arbres qu’elle abat sont récoltés afin d’être transformés en une variété de produits allant du papier absorbant à la pâte de bois servant à fabriquer le papier utilisé pour l’impression des livres, journaux et magazines. Résolu poursuit Greenpeace en raison d’une série d’enquêtes au travers desquelles l’organisation a mis en avant les pratiques non durables de la compagnie; la forêt boréale doit conserver des habitats intacts pour maintenir la santé de son écosystème unique et permettre la survie d’espèce comme le caribou forestier. La forêt abrite aussi les territoires de Premières Nations qui dépendent de ses ressources, et détiennent le droit de décider de l’utilisation de leur territoire. Au lieu de s’attaquer au problème que dénonce Greenpeace, Stand.earth et d’autres, Résolu nous dit — vous dit — de cesser d’en parler. Les poursuites comme celle-ci s’appellent des Poursuites Stratégiques Contre la Mobilisation Publique ou poursuites-bâillons, et elles sont un outil dangereux aux mains des corporations pour réduire le public au silence. Elles sont généralement efficaces, conçues pour intimider et pour s’assurer que de grandes compagnies ayant les moyens de dépenser d’importantes sommes d’argent dans un processus juridique rendent la possibilité d’exprimer des critiques trop difficile pour des individus, des scientifiques ou des organismes sans but lucratif. Un autre aspect troublant à propos de la poursuite intentée aux États-Unis est que la réclamation de 300 millions de dollars est faite en vertu de la Loi RICO (Racketeer Influenced & Corrupt Organizations Act) — élaborée pour lutter contre le crime organisé, la mafia notamment. Le principal argument de Résolu étant qu’une organisation comme Greenpeace, qui critique les pratiques non durables de la compagnie, est une « entreprise criminelle ». Le concept est tellement ridicule que nous ne nous attendons pas à ce que Résolu obtienne gain de cause, mais ça ne rend pas la poursuite moins menaçante pour autant. La pire chose à propos des poursuites-bâillons est qu’elles peuvent être sans fondement, mais avoir tout de même un impact désastreux financièrement et sur le long terme, ainsi qu’un fort potentiel d’intimidation sur les individus ou les organisations de la société civile. Greenpeace sait depuis longtemps gérer les intimidateurs, nous n’allons donc pas arrêter de parler de la forêt boréale et des raisons pour lesquelles elle doit être protégée. Tout comme nous n’arrêterons pas d’expliquer à Résolu pourquoi elle doit changer ses pratiques pour être en phase avec l’opinion scientifique. Mais cette situation pourrait avoir des répercussions bien plus vastes. Imaginez un monde sans Greenpeace, où des poursuites comme celle-ci puissent aboutir, et où les organisations fassent le choix de se taire en raison des trop grands risques. Maintenant, imaginez un monde où nous n’avons pas d’Amnesty International faisant campagne mondialement pour les droits humains, où des organisations de défense des droits civils ne peuvent se permettre de se battre pour la justice raciale ou l'égalité des droits de la communauté LGBTQ. Imaginez qu’il n’y ait plus du tout de revendication, que les groupes défendant les vétérans, les enfants, les personnes avec un handicap, les personnes malades, les démunis, aient été démantelés en raison du coût exorbitant des poursuites intentées contre eux. Imaginez que des médias de presse écrite soient dans l’obligation de cesser leur activité parce qu’ils ne peuvent faire face aux poursuites en diffamation de personnes comme Trump, et que les coûts et les conséquences juridiques soient rendus si élevés qu’il ne soit plus permis de s’exprimer librement. Ça peut sembler dramatique, mais si un précédent est établi démontrant que la Loi RICO peut être utilisée de cette manière, cela pourrait ouvrir la voie vers des scénarios similaires. Déjà, nous avons vu deux poursuites calquées sur celle de Résolu : la première intentée au Texas par un climatosceptique contre plusieurs groupes environnementaux incluant Greenpeace ; la seconde à New York contre des sociétés de médias, ciblant leur couverture médiatique des changements climatiques et leurs articles parlant de l’élection présidentielle américaine. Nous devons réagir avant que la situation ne s’aggrave. Résolu tente de cacher ce qu’elle fait en forêt boréale, mais je sais que vous ne les laisserez pas faire. Partagez cette histoire. Soyez à nos côtés pour faire savoir à Résolu que nous ne nous laisserons pas réduire au silence. Molly Dorozenski est la Directrice des communications de Greenpeace U.S.. Elle a travaillé à la planification de campagnes telles que la campagne sur le climat, l’Arctique, la marée noire de BP dans le golfe du Mexique, ainsi qu’au sein d’une variété de campagnes visant à faire évoluer des compagnies vers des pratiques plus durables. En 2015, elle a été la récipiendaire d’un Prix Effie pour son travail avec l’agence VIA qui a poussé des compagnies de hautes technologies à s’engager à utiliser une plus grande part d’énergie renouvelable. La réalité est que Greenpeace a critiqué les pratiques d’exploitation forestière non durables de Produits forestiers Résolu. Nous avons toujours soutenu ces allégations comme étant exactes et fondées sur des faits scientifiques. C’est cet argument fondamental que Greenpeace Canada, Greenpeace U.S. et Greenpeace International ont déposé devant les tribunaux relativement aux deux poursuites judiciaires intentées contre nous par Résolu. Nous sommes convaincus que notre droit de défendre l’intérêt public sera confirmé par les tribunaux comme l’ont fait récemment les tribunaux de l’Ontario lorsqu’un groupe de juges a conclu que Résolu n’avait fourni « aucun exemple » pour appuyer l’allégation selon laquelle « Greenpeace a une stratégie visant à déformer la vérité et à faire du "sensationnalisme" avec les preuves ». La justice a qualifié l’accusation de « scandaleuse et vexatoire ». Résolu n’attend cependant pas que les juges tranchent sur la question devant un tribunal. Au contraire, l'entreprise fait une utilisation abusive des procédures judiciaires dans une guerre médiatique contre ses détracteurs. Dans sa plus récente attaque, Richard Garneau, le président et chef de la direction de Résolu, a soulevé un seul argument juridique américain et a faussement prétendu que cela constituait un aveu de mensonge. En fait, les documents juridiques des entités de Greenpeace U.S. et de Greenpeace International disent l’opposé : « toutes les déclarations contestées sont vraies », elles sont « une opinion protégée […] et substantiellement vraie » et sont « soigneusement documentées avec des références à des études scientifiques ». Prélever hors contexte des phrases juridiques qui concernent les lois américaines sur la liberté d’expression déforme leur véritable signification. « Hyperbole » et « rhétorique » sont des arguments juridiques techniques présentés dans de nombreux cas concernant le premier amendement aux États-Unis. Ils ne sont d’aucune façon des aveux de mensonge. La protection de la forêt boréale, une forêt essentielle sur le plan écologique, est un élément clé du travail de Greenpeace. Dans ce rôle, nous dénonçons les industries et les gouvernements qui nuisent à l’environnement en faisant pression pour les amener à changer leurs pratiques néfastes. Nous voulons que Résolu adopte des solutions qui fortifient les collectivités, qui garantissent des emplois pour aujourd’hui et demain, qui respectent les droits des Premières Nations et qui respectent l’environnement. Mais Résolu préfère plutôt perdre son temps et son argent en attaquant ses critiques devant les tribunaux et dans la presse. Ces efforts ne seraient-ils pas mieux investis en travaillant pour identifier des solutions réelles à long terme ? Résolu a intenté une poursuite en justice contre Greenpeace Canada, Greenpeace U.S., Greenpeace International et plusieurs employés de Greenpeace, ainsi que contre son propre vérificateur indépendant, Rainforest Alliance, après que ce dernier ne lui eut pas attribué la note de passage relative aux pratiques de l’entreprise. 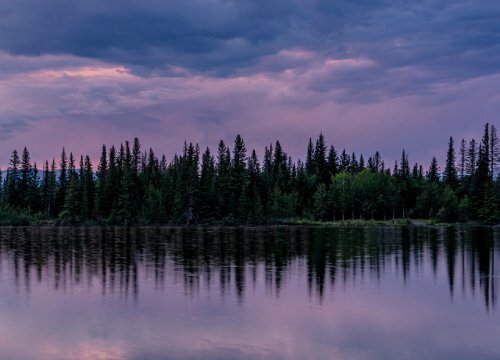 Résolu s’en est aussi publiquement pris à la Société pour la nature et les parcs du Canada, au Conseil de défense des ressources naturelles, à la World Wildlife Fund et au Forest Stewardship Council. Il semblerait que Résolu ne voie aucune place dans la société civile pour la critique de ses pratiques. Greenpeace continuera à se défendre contre les accusations dépourvues de fondements de Résolu, car les enjeux sont trop importants ; il s’agit non seulement de l’avenir des forêts canadiennes, mais aussi de l’avenir de la liberté d’expression au Canada. Une étape déterminante vient d’être franchie dans l’affaire qui nous oppose à la plus grande entreprise forestière du Canada, Produits forestiers Résolu. Dans un courrier rendu public, le Groupe Hachette, géant du secteur de l’édition et client de Résolu, a décidé de s’engager aux côtés de Greenpeace pour soutenir son combat pour la liberté d’expression et son droit à faire campagne pour la protection des forêts. L’entreprise Résolu a attaqué en justice Greenpeace USA, Greenpeace Canada et Greenpeace International, leur réclamant plus de 300 millions de dollars de dommages-intérêts. Son objectif : réduire au silence notre ONG qui défend les intérêts de la planète depuis plus de 45 ans. Grâce à votre mobilisation au Canada comme à l’international, c’est l’une des plus grandes maisons d’édition du monde, Hachette Livre, qui a condamné hier les pratiques juridiques excessives de Produits forestiers Résolu. Hachette Livre a vivement appelé le papetier à faire plus pour la préservation des forêts. Arnaud Nourry, PDG d’Hachette Livre, a publié sur le site de la maison d’édition la lettre qu’il a adressée à Richard Garneau, PDG de l’entreprise canadienne Produits forestiers Résolu, en réaction à notre mobilisation pour le droit à la liberté d’expression et la protection des forêts. Dans sa lettre, Arnaud Nourry souligne l’importance de l’engagement de son groupe en faveur du label FSC (« clé de voûte » de sa politique en matière de responsabilité environnementale. Or, en avril 2014, Resolu rétracte ses engagements vis-à-vis du FSC (voir page 33 et 38 ici). Fin 2015, Resolu annonce qu’il ne cherchera pas à récupérer les certifications perdues ou à en obtenir de nouvelles. 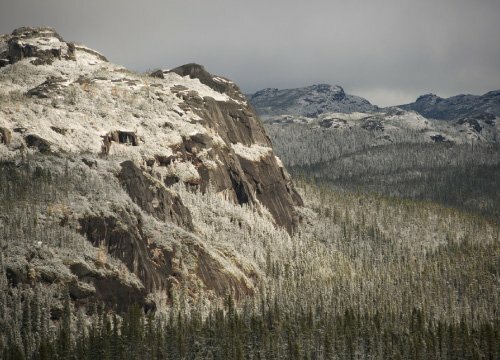 Si bien que depuis 2012, la superficie des terres gérées par Resolu au Canada sous certification FSC a donc diminué de près de 46%. En 2012, Resolu gère 20 750 635 ha de forêts publiques et privées, dont 13 903 813 ha couverts par des certificats FSC valides. En mars 2017, seulement 7 511 548 ha de forêts de Resolute restaient certifiés FSC. Ces données sont disponibles sur la plateforme public du système FSC. Le PDG d’Hachette dénonce également la « virulence » de la réaction de Résolu et qualifie d’ « excessives » ses démarches juridiques cherchant à nous bâillonner :« À une époque où les États-Unis ont décidé de tourner le dos aux Accords de Paris sur le changement climatique, il nous paraît plus nécessaire que jamais que des ONG indépendantes comme Greenpeace puissent faire leur travail. Sinon, qui va prendre la défense de l’environnement dans les années qui viennent ? », s’interroge M. Nourry dans sa lettre. Ces dernières semaines, nous vous avons demandé votre soutien pour que les grandes maisons d’édition qui s’approvisionnent en papier auprès de Résolu et qui ont pris des engagements en matière de développement durable rejoignent notre campagne. Qu’avons-nous demandé à ces géants du secteur de l’édition, comme le groupe Hachette, Simon & Schuster, ou Penguin Random House ? Qu’ils engagent l’exploitant forestier de protéger la forêt boréale et d’abandonner ses poursuites contre Greenpeace. Vous avez répondu avec force à notre appel pour joindre vos voix aux nôtres. Grâce à vous, cet appel aux éditeurs cumule plus de 500 000 signatures ! A vos côtés, plus de 240 auteurs se sont également engagés pour rappeler que la liberté s’écrit aussi sur le papier, et pour réprouver les pratiques du géant forestier canadien. Dans notre combat contre les tentatives de muselage de la société civile et pour notre droit à faire campagne pour la protection des forêts, vos voix sont essentielles. Cette avancée, c’est à vous que nous la devons. Nous nous réjouissons que le groupe Hachette Livre soit le premier éditeur à s’engager pour la protection des forêts et la liberté d’expression, et que son PDG Arnaud Nourry ait rapidement saisi les enjeux des menaces que Résolu fait peser sur Greenpeace et sur la société civile. Nous espérons qu’Hachette continuera de constamment rappeler à l’exploitant forestier Résolu qu’il doit être à la hauteur des différents enjeux mentionnés par A. Nourry dans sa lettre, à savoir la protection de l’environnement, la liberté d’expression et le travail des ONG et des auditeurs indépendants. Par ailleurs, s’il est indispensable que Résolu conserve ses certificats FSC, il est tout aussi primordial qu’il regagne ceux qu’il a perdu et qu’il mette un terme à ses pratiques d’exploitation forestière controversées - notamment qu’il cesse de détruire les forêts intactes et les habitats d’espèces menacées. Les autres grandes maisons d’édition, comme Penguin Random House, HarperCollins et Simon & Schuster, doivent maintenant réagir dans le sillage tracé par Hachette. Il leur faut répondre à l’appel des quelque 500 000 personnes qui, dans le monde entier, ont signé la pétition de Greenpeace pour demander aux éditeurs de ne pas rester sans rien faire alors que la liberté d’expression et les forêts sont attaquées. 90 organisations du Canada et des États-Unis, dont la Fondation David Suzuki, la Ligues des droits et libertés et le Réseau québécois des groupes écologistes, appellent Produits forestiers Résolu à abandonner ses poursuites de plusieurs millions de dollars visant à museler Greenpeace et Stand.earth. Dans une annonce parue dans les journaux Le Devoir et The Ottawa Citizen, les organisations condamnent les attaques de Résolu contre le débat public et la liberté d'expression, piliers de nos sociétés démocratiques. D'autre voix se sont élevées en défense de la liberté d'expression et des forêts. 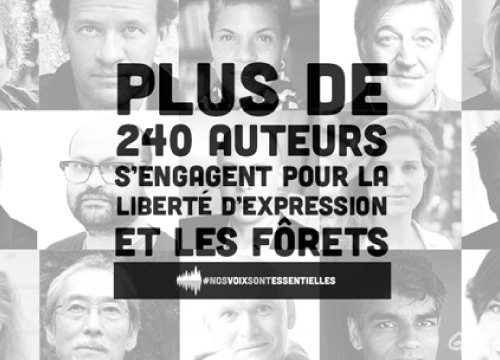 Plus de 200 auteurs, dont Margaret Atwood, Yann Martel et Dominic Champagne, ont signé un manifeste avec Greenpeace pour défendre la liberté d’expression et les forêts. Mais ce n'est pas tout: l'appel au soutien de la liberté d'expression et de la protection de la forêt est, depuis, devenu international avec plus de 470 000 personnes d'à travers le monde signant une pétition à l'intention des éditeurs qui s'approvisionnent en papier auprès de Résolu. Les signataires appellent les éditeurs à désavouer la tentative oppressive de la compagnie forestière de museler les organisations environnementales et d'intimider les activistes qui ont critiqué, à juste titre, ses pratiques forestières non-durables. Ne laissons pas Résolu détruire une organisation avec une histoire de plus de 45 ans dans la protection de la planète. Signez la pétition pour demander aux maisons d’éditions — qui achètent des tonnes de papier pour leurs livres à Résolu — de défendre la liberté d’expression et les forêts. À chaque mot d’espoir et de liberté couché sur le papier ou tapé sur un écran, auteurs, journalistes, poètes et dramaturges savent que que le monde s’améliore un peu. Et si nous exprimer librement est impossible, alors, il nous sera impossible de créer des changements positifs. Plus de 240 auteurs du monde entier, incluant les gagnants du Booker Prize Margaret Atwood (La Servante écarlate) et Yann Martel (L’Histoire de Pi), l’écrivain et comédien Stephen Fry (More Fool Me) et les leaders d’opinion tel Naomi Klein (La Stratégie du choc) ont signé un manifeste avec Greenpeace pour défendre la liberté d’expression et la forêt boréale. Tout comme la voix de votre auteur préféré, votre voix est essentielle. Les éditeurs et les auteurs sont des alliés naturels dans la lutte pour la défense de la liberté d'expression. Le pouvoir des mots et le travail incroyable que les auteurs et les éditeurs font chaque jour sont autant de source d’inspiration et d’énergie. Nous sommes reconnaissants qu’ils fassent écho à notre campagne et pour leur engagement pour la liberté d'expression et la protection des forêts. Restez à l’affût des dernières nouvelles sur les médias sociaux cette semaine ! Greenpeace sera au salon du livre Book Expo de New York, à la rencontre d’auteurs et de maisons d’édition, mais aussi pour présenter l’oeuvre d’art Treewhispers (Murmures d’arbres) créée par Pamela Paulsrud, une collaboration internationale pour révéler notre connexion profonde aux arbres. Merci de rejoindre plus de 240 auteurs du monde entier et de signer notre pétition pour défendre la liberté d’expression et les forêts. Pour toute demande médias veuillez contacter Philippa Duchastel de Montrouge, conseillère aux communications: pduchast@greenpeace.org ou 514-929-8227.